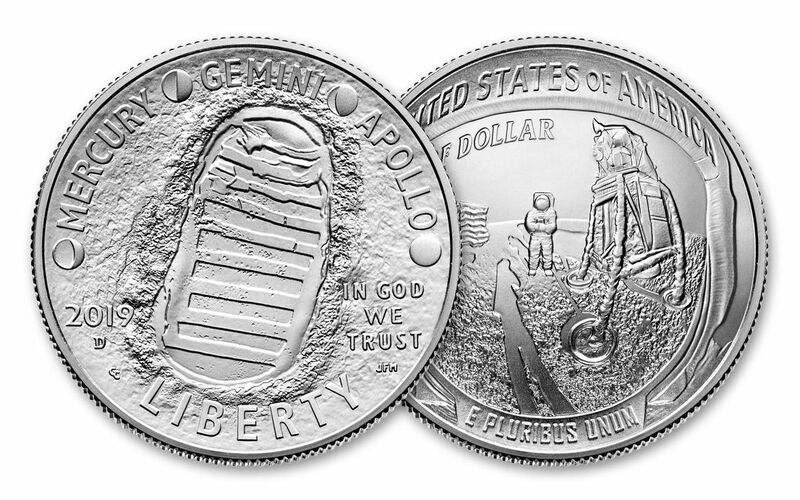 In honor of the 50th anniversary of the Apollo 11 mission, Congress authorized the release of this special, limited-edition commemorative half dollar Proof. 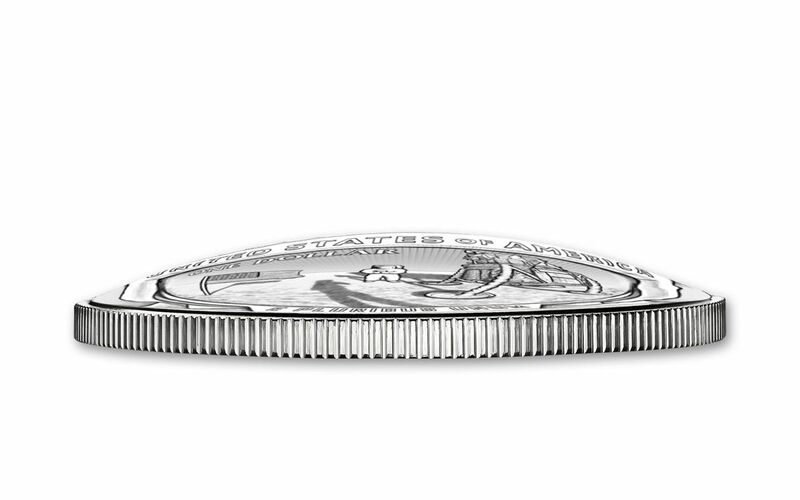 Not just any half dollar, it represents just the second time in history that the U.S. Mint has struck a coin with a curved surface! 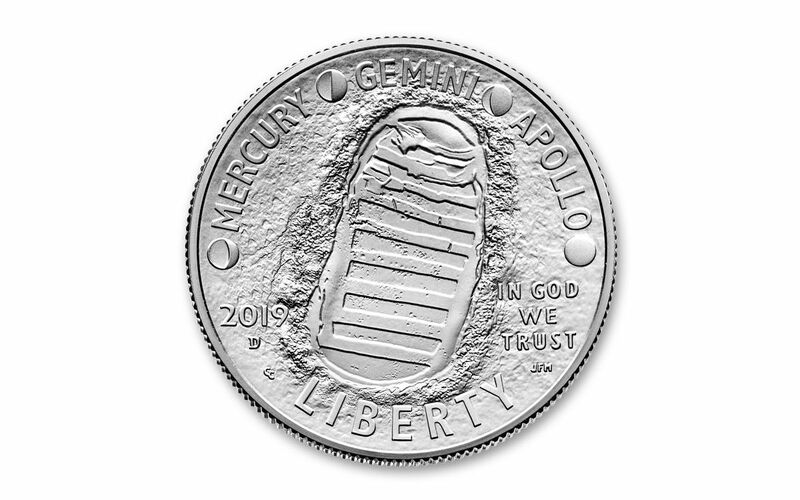 On the coin’s obverse is the indented footprint left by astronaut Neil Armstrong along with the names of the space programs that led to such a historic moment: MERCURY, GEMINI and APOLLO separated by phases of the Moon. Flip the coin over and you’ll see the outward curve of an astronaut’s helmet. The design recreates the famous photograph snapped by Buzz Aldrin of Armstrong standing next to the lunar module Eagle as seen through Buzz’s visor. The designs are incredibly detailed, and at 30.607 mm in diameter, the coin is the perfect size to showcase every nuance of the intricate details. Your commemorative half-dollar will arrive in its official government packaging. STRUCK IN GORGEOUS PROOF CONDITION – Your 2019-S Apollo 11 50th Anniversary Half-Dollar will come in gorgeous Proof condition, meaning it was expertly crafted by the mint from hand-selected planchets, polished dies and multiple strikes to produce beautiful details! Your coin will also come displayed in its official government packaging! 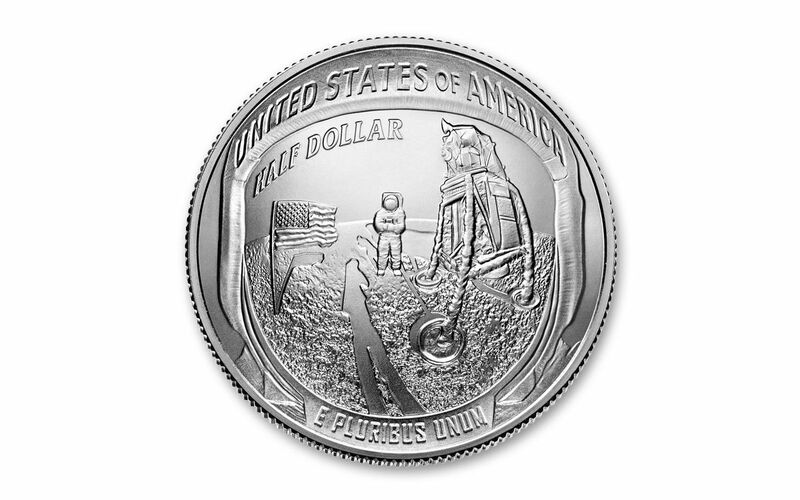 Put the first man on the moon into your collection and honor mankind’s crowning achievement with the 2019-S Apollo 11 50th Anniversary Half-Dollar Proof. Order yours now!